Appartamento Alessio is inside a country house surrounded by a vast cultivation of apples. 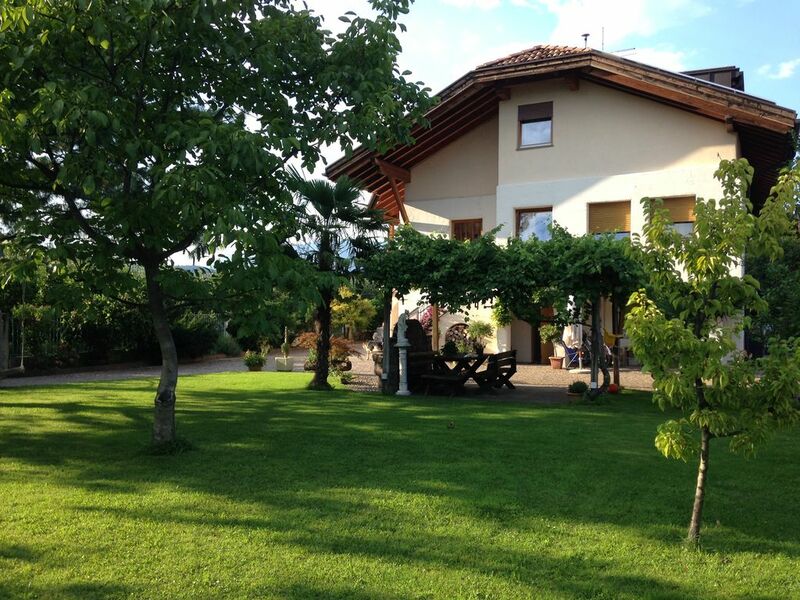 The house is located only 300m from the railway station from which you can reach the center of Bolzano in just 7 minutes, from the bus station from which you can reach the center of Bolzano in just 25 minutes. The property is located near the regional, national and international cycle path. Lake Monticolo, where you can swim, can be reached on foot via a forest path in just 45 minutes, by bike in 30 minutes or by car in just 30 minutes. Lake Caldaro, where it is possible to swim and water sports, can be reached by car or by bike in about 30 minutes.